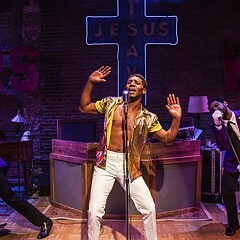 The Total Bent 2/7–3/10: Thu-Sat 8 PM, Sun 3 PM, Den Theatre, 1331 N. Milwaukee, haventheatrechicago.com, $35. 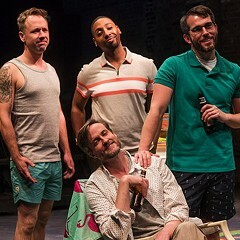 Lottery Day 3/29–4/28: Wed-Thu 7:30 PM, Fri 8 PM, Sat 2 and 8 PM, Sun 2 and 7:30 PM, Goodman Theatre, 170 N Dearborn, 312-443-3800, goodmantheatre.org. Dada Woof Papa Hot Through 2/16: Thu-Sat 7:30 PM, Sun 3 PM, Theater Wit, 1229 W. Belmont, 773-975-8150, aboutfacetheatre.com, $38, $20 students and seniors. Short Shakespeare! Macbeth 2/16–3/16: Sat 11 AM, Chicago Shakespeare Theater, 800 E. Grand, 312-595-5600, chicagoshakes.com, $34, $22 18 and under. 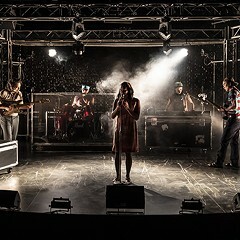 Cambodian Rock Band 4/13–5/5: Wed-Fri 7:30 PM, Sat 3 and 7:30 PM, Sun 3 PM, Victory Gardens Theater, 2433 N. Lincoln, 773-871-3000, victorygardens.org, $37-$71. Photograph 51 Through 2/17: Wed-Fri 7:30 PM, Sat-Sun 2 and 7:30 PM, Court Theatre, 5535 S. Ellis, 773-753-4472, courttheatre.org, $50-$74, $37.50-$55.50 students. "Sadly, I'm the 100th white guy standing up here tonight," remarked Nick Bowling at the Jeff Awards ceremony last October as he accepted his trophy for best director of a musical. Then he pointed to his corecipient, Lili-Anne Brown, and said, "It's time to change, and this is where it starts, right here." The audience responded with the night's only standing ovation. Bowling's comments spoke to more than the demographics of that one coterie of award winners. Theater directors in the United States are predominantly men, and Chicago theater is no exception. Just over a third of Chicago plays during the 2015-'16 season were directed by women, according to a 2017 study. Yet Brown is not the only harbinger of change. She belongs to a group of emerging women theater directors in Chicago whose careers have been taking off. For years, they've been an invaluable part of the city's storefront theater scene. More recently, and in the upcoming months, they're directing plays on some of the city's most prominent stages. 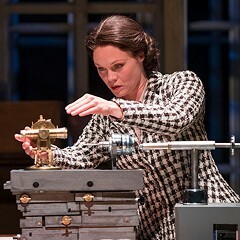 Vanessa Stalling, an ensemble member at the House Theatre of Chicago, has helmed Photograph 51, currently playing at Court Theatre. Keira Fromm is an ensemble member at About Face Theatre, which is currently running her production of Dada Woof Papa Hot. Marti Lyons, an ensemble member at the Gift Theatre and an artistic associate at Sideshow Theatre Company, will direct Lauren Yee's Cambodian Rock Band at Victory Gardens in April. 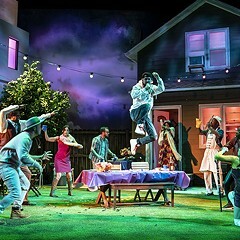 And Brown will direct Lottery Day by red-hot local playwright Ike Holter at the Goodman Theatre in March. Recently, these four freelance directors—and friends, judging from their easy laughter and off-the-record banter—sat down at Chez Moi, a French restaurant in Lincoln Park. While sipping water and coffee, they chatted about Chicago theater, the progress it's made, and the progress it's yet to achieve. 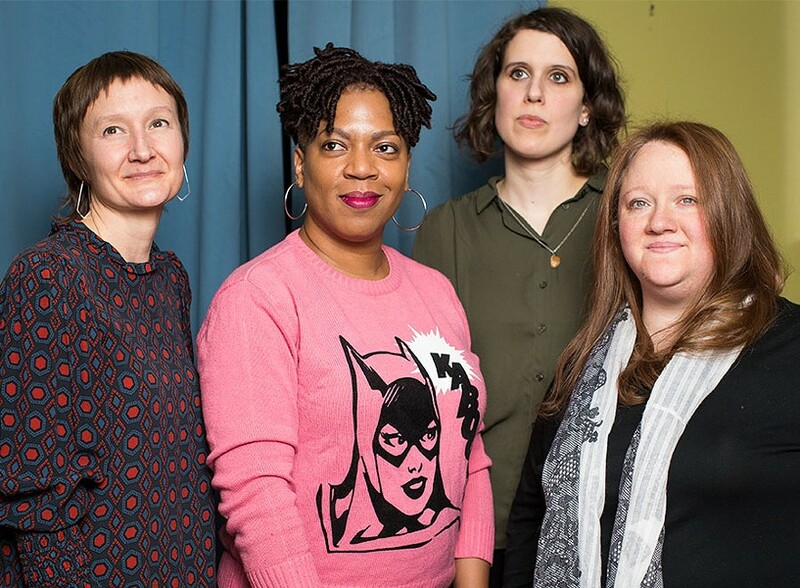 Do you think opportunities for women theater directors in Chicago have gotten better or worse during your careers so far? Lili-Anne Brown: I directed my first show in 2009, and in the last decade the visibility has changed. Everybody's talking about it. Keira Fromm: The Chicago theater community has emboldened itself to start having conversations that acknowledge the disparity, and that has forced artistic directors to try to make it better. Has that happened? Not completely, but it feels like a slow burn towards getting a little bit better. Marti Lyons: To me it means closer to parity. And now I think the conversation's beyond that, because we're really talking about more than just a gender binary or gender parity. We're talking about representation. Vanessa Stalling: Chicago is having a very active conversation about whose voices are part of the theater, and as we move forward, we start to see more and more who is left behind or left out. But we hold one another accountable as much as we hold one another up. I feel like that is unique to Chicago. Despite the active conversation, just over a third of plays in Chicago are directed by women—what do you make of that? Stalling: Even if we four directors see each other's social media posts and we know we're working, we might be in a bit of a bubble compared to what really is happening. The data doesn't lie. Fromm: There's still a need for women in major artistic administrative roles in theaters. Primarily men still curate seasons, so those projects are geared more toward men. But because our community is having this conversation, theaters acknowledge that, yes, they have primarily male directors and male playwrights and they have to do better. Everyone wants to feel like they're moving towards parity and not leaving communities behind, so the intention is good. What often happens is, to check a box, a theater approaches one of us and says, "Hey, I have this project that I need a director for"—versus seeking us out ahead of that process to ask, "What stories are compelling to you?" Theaters need to invite women's voices into the curating process, not at the end when they recognize they have to fulfill some criteria. Brown: That's something that happens when you're any kind of special demographic—in other words, not white cis male. For theaters that have been doing it the same way for 20 to 30 years, it's normal for them to be like, "I want this guy, this guy, this guy—these are my homies and I'm gonna ask them what shows they want to do—oh, shoot, we need a woman slot. OK, let's get a woman slot. Let's see, who are the women directors? Great, what woman play do you want to do?" And you're like, "What?" Last week I did a pitch meeting where I got asked about everything I wanted to do, and I thought, oh, this is so exciting, and then they came back and said, "We love all of your ideas but we have a slot for a female playwright, and we want it to have a small cast and be very joyous and celebratory because there's so much dark stuff going on." I'm like, well, that's not anything I pitched. Stalling: What's really important is how we are moving out of default. For so long, the default way of programming a season was a bunch of white men and white male playwrights talking about white male stories. So there has been progress. My father was a behavioral psychologist, and he was like, in order to change behavior and literally reprogram your neurons, you have to change physically what you're doing in practice. Then that will help change all those default settings. So we're in a period of adjusting the default. You all were nodding when the conversation turned to "the woman slot." Have the rest of you experienced that, too? Lyons: Certainly. But checking the box is actually a great first step. It might feel unnatural for a while for a theater to override its instinct, and that unnatural feeling is OK. That's where we start. But for me, I really feel that checked box when I'm in a situation where I realize the theater wanted someone who's going to operate the way a cis hetero white male was going to, but they needed to fill this slot. I'm like, oh, you wanted someone who looked like me but you didn't actually want to invite my entire artistic being or perspective into this experience. That's when it hits me hardest. So theaters need to make space not just for the right numbers but for people's different lived experiences and make work from those experiences. Female directors have said they get questioned or challenged more than male directors do in rehearsal rooms and production meetings. Do you all experience that? Brown: I haven't had a whole lot of that in the theater yet because I've been doing storefront theater, so I've been in charge. [Laughs.] Also, when I first started freelancing, the only people who hired me were women. I couldn't get hired by men, so they couldn't treat me weird. I remember one interview process where I literally had so much more experience than two friends who were both men, and they both got hired and I didn't. I'm also moving through the world with black skin, so sometimes I don't know which thing is happening, to be honest. Lyons: Directing is such an isolated experience that it can be very difficult to tell what is systemic and what is just you. We're not in each other's rehearsal rooms or interviews. Early on in my career, there's so much I was doing just to survive in this career. For me there was a bit of requisite tunnel vision and also a lot of internalizing of things that maybe weren't about me, which is also maybe gendered. I'm only in a place now where I'm able to have enough perspective on things that may have been at play and there are times when I think, oh, this feels really gendered. Stalling: It's hard to know if someone is seeing a woman, because I just see myself. It was not until a couple of years ago when we started having these conversations in the public sphere that I thought maybe such and such is happening because I'm a woman. I thought I had to operate a certain way and that I was lacking something and that I was supposed to be stronger or more aggressive. There was a moment when I directed through my male assistant director—isn't that sad? I thought, OK, I'll send my direction through him because I think it will land differently, I think it might be heard. I've had other instances where a male artistic director could literally repeat what I just said and it would be heard differently—all the time. They're brief moments that were large enough to make me aware of my gender in that moment. Lyons: I've had that, and with designers also. I've had instances where I said to a male designer, "Can you bring this up in the production meeting?" Because then I know we'll get it, or at least it will be heard differently than if I ask for it. Fromm: It's tricky because as artists and as theater makers we need to be good collaborators. I'm constantly feeling torn between deference, subservience, and collaboration. There's a pitfall there, which is that I am not the dominant voice in the room, and suddenly I become aware my voice is actually not being heard in this moment. Then it's a game around: Is the designer going to take up this issue? Maybe then it'll get better traction. Or maybe an artistic director echoes something I've already said. That absolutely happens. Stalling: I've been lucky to have been a significant part of crafting who's in the room with me and who's part of that process, and that's huge. I do not consider myself an auteur director where I'm at the top of a hierarchy and everyone else is doing what I say—that's actually really boring for me and not fun at all and there's zero room for discovery in rooms like that. I work better when I know I have collaborators that are going to inspire me. Am I being naive? Or is this not something that I have had to deal with on a moment-by- moment basis—recognizing I'm a woman now, I'm a woman now, I'm a woman now? Fromm: I've found that artistic directors can be great advocates if there's a moment of tension in a production meeting. It meant so much to me when the Gift Theatre's Michael Patrick Thornton decided their 2013 season would have female directors. It was Marti, myself, and Erica Weiss. There are a lot of artistic directors who are allies and advocates. And it's only been in the past couple of years that I've found it's enough to say, "Well, it's my artistic vision that's carrying us through this process." It's been a confidence-building issue. Lyons: It's interesting. This is not actually a conversation that's comfortable for me—talking about the ways being identified as a woman director has been limiting. That's not a major focus for me in my own internal dialogue because it's not very productive. It may be a conversation I have with my peers and trusted collaborators and artistic directors. I'm just recognizing how careful I feel because there are so many incidents where people have gone above and beyond. It's not that I don't think about gender everyday; I do. But I don't have public conversations about it that will then be in print. Who've been some of your mentors, and how have they made a difference in your careers? Stalling: Jim Lasko, the former artistic director of Redmoon, trusted me when I didn't know why he should have. He was a big risk-taker. Deb Alley, who was the artistic director of the Illinois Shakespeare Festival, said, "First and foremost, always assume people are doing the best they can. Everybody wants to do good work." And Robert Falls at the Goodman has such a generous personality; I learned a lot from him. Brown: Brad Lyons used to be the artistic director of Timber Lake Playhouse, which is where I got my start. It's in a cornfield in Mount Carroll, Illinois. He was the first person who had conversations with me about what I was trying to do and how I could do it better. Lyons: The directors Chay Yew, Les Waters, and Kimberly Senior. They encouraged me to trust my own voice and gave me the space and time to develop my skills. The playwright Tanya Saracho gave me my first job in Chicago when I was 22 and nobody knew who I was. She was like, "You do it." Fromm: The directors Diane Paulus and Kimberly Senior. The best mentors can talk with you about both the art and the job. I just had a conversation with Kimberly yesterday about agents. As directors, we don't make a whole lot of money to warrant giving 10 percent away to agents. It's a little heartbreaking thinking about some of those paychecks. [Laughs.] Kimberly suggested tallying up what I make in a year and then putting 10 percent of that to my own professional development, like flying myself to another city to see its theater. What concerns you about Chicago theater right now? Fromm: Theaters are starting to believe they've done the work and the work is done—without acknowledging that it is a long game that requires patience and they have to involve women in the curating process and throughout the whole season. Stalling: Small storefront theaters being able to start in the first place. New York doesn't get to have storefront theater anymore, it's just too expensive. I look at the House and Jackalope, and I wonder how they are going to be the next Lookingglass, which was the last company to move into a larger venue and be of the caliber of the Goodman or Steppenwolf. The funding question is real. If there isn't storefront theater, there isn't a process to get those emerging voices access to opportunities so they can move up. Lyons: I'm really concerned with what's happening to journalism. We're actually partner industries that need freedom of speech and freedom of expression, and that's in crisis in this country right now. And I agree that smaller theaters are really important for upcoming artists who might not otherwise have a chance at all in this industry. Those theaters are the entry-level gatekeepers. If you don't have that, then you don't have the thing on your resumé that even gets you to assistant-direct for one of us. Stalling: And how are the larger theaters able to take risks when funding is such a massive element and they have to make sure their programming is sustainable? Brown: I'm up at night thinking about theater boards. Does the board system even work? Who's on the boards? How do we freshen them up so that they're more representative of our population and they have new ideas about how to get funding? They're the people behind the curtain who determine a theater's tenor and the audience that theater invites in and who's working there. It all starts at the top. What excites you about Chicago theater? Brown: This room. And Chicago playwrights that are really killing the game right now. Lyons: The innovation that can happen here because there's not a high price for entry. It's also a bitingly irreverent satire.